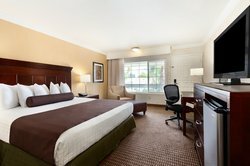 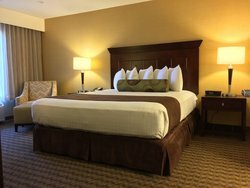 Discover the perfect Los Angeles area accommodations for business trips, family vacations or weekend getaways by staying at our hotel rooms and suites in Sherman Oaks, CA near Los Angeles. Pet-friendly* guest rooms and suites at the AAA Three Diamond Best Western Plus Carriage Inn blend all of the comforts and conveniences of home with that little something extra that makes Best Western a favorite of travelers worldwide. 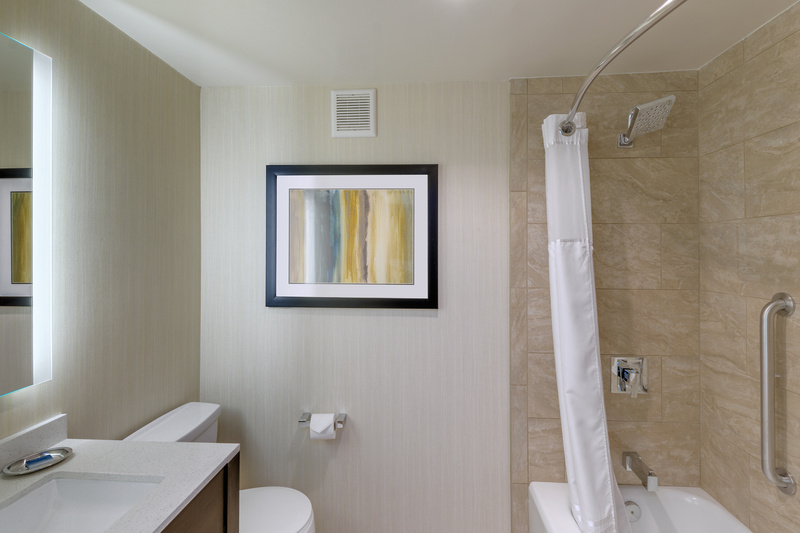 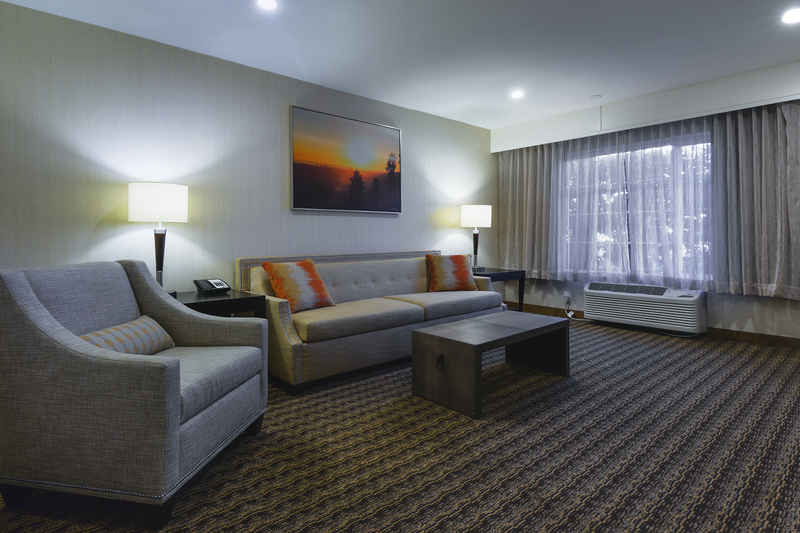 Beautifully appointed with a contemporary and inviting décor, our 178 Deluxe Rooms and two Executive Suites feature spacious floor plans ideal for families or execs seeking a little extra living space. 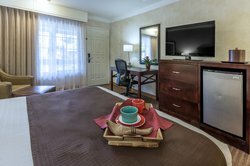 Surf nearby attractions, restaurants and fun things to do on the complimentary Wi-Fi. Other thoughtful “touch of home” perks include refrigerators and premium cable channels. 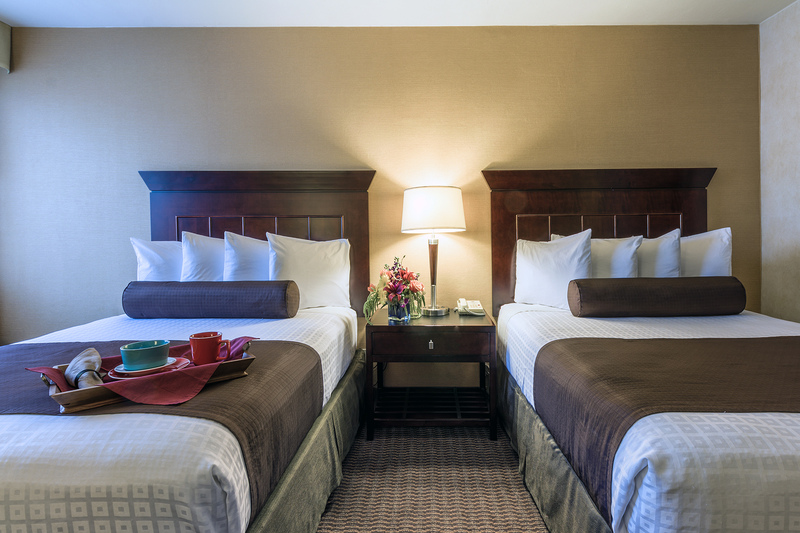 At the end of the night, sink into a plush mattress piled with premium linens and pillows. Your choice of accommodations includes Standard Rooms with one King or two Queen beds and two-room Executive King Suites. All accommodations at the hotel are 100% non-smoking. 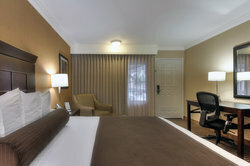 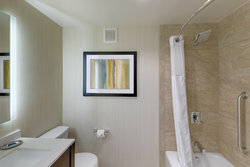 Don’t forget to check out our special hotel deals for the best rates and book your Sherman Oaks hotel room today. We look forward to seeing you soon! 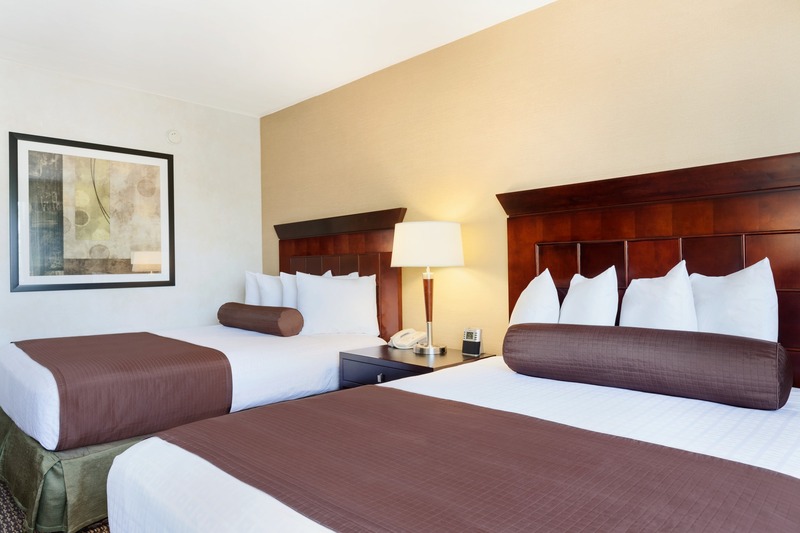 Our tastefully appointed Deluxe Two Queen bedroom offers a 37-inch flat screen TV, free wireless Internet connection, mini refrigerator, coffee/tea maker featuring Wolfgang Puck Coffee, hair dryer, MP3 clock radio, iron and ironing board. 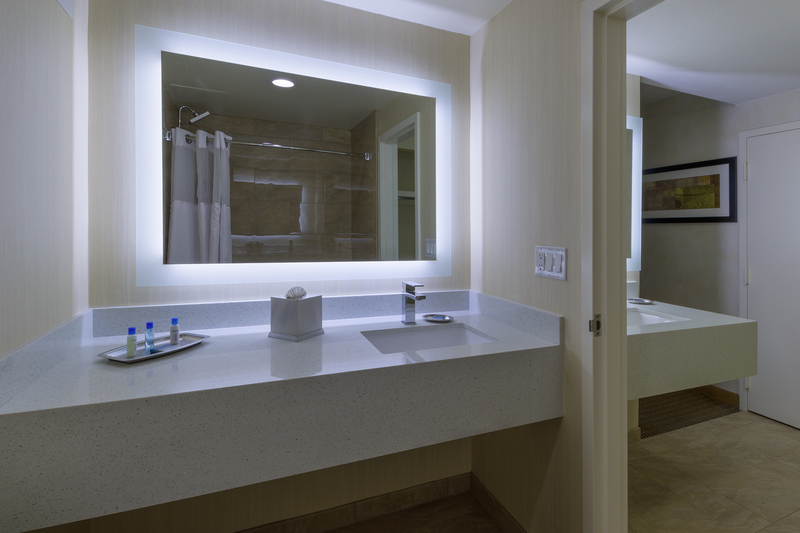 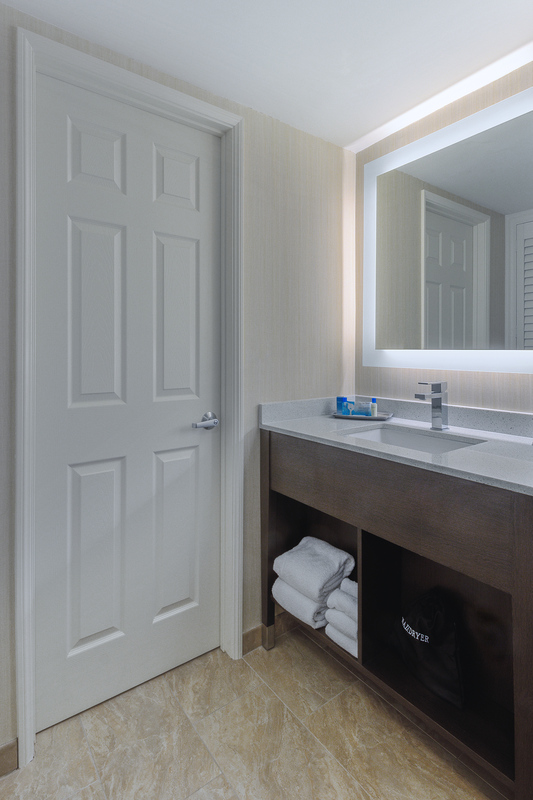 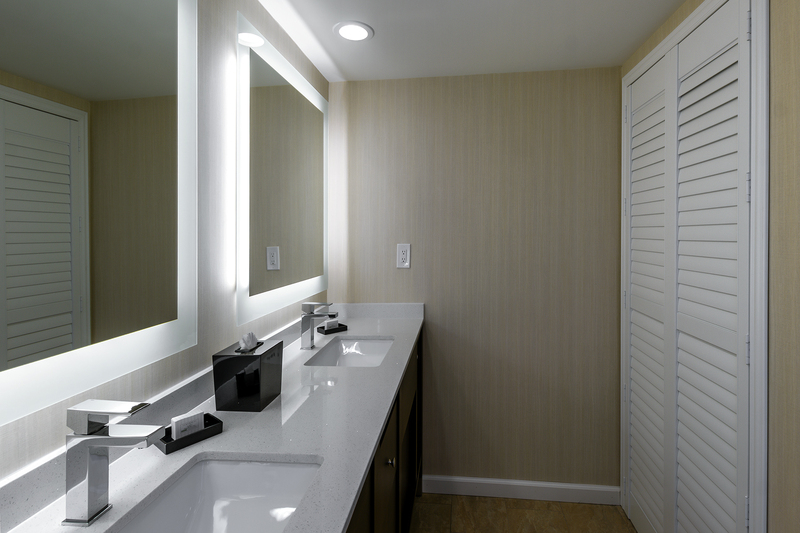 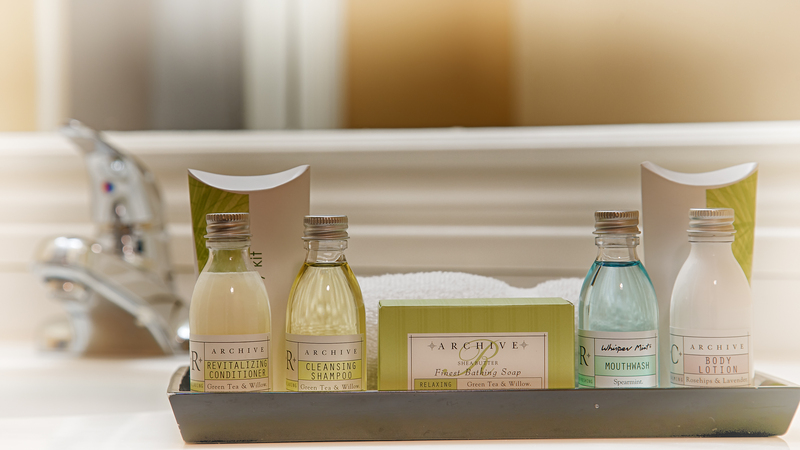 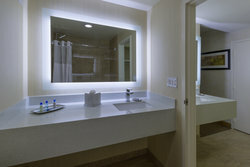 The double vanity is included in all our guest rooms making it easier to get ready for a day at Universal Studios or a night out on the town. Your choice of accommodations includes Standard Rooms with one King or two Queen beds and two-room Executive King Suites. All accommodations at the hotel are 100% non-smoking. 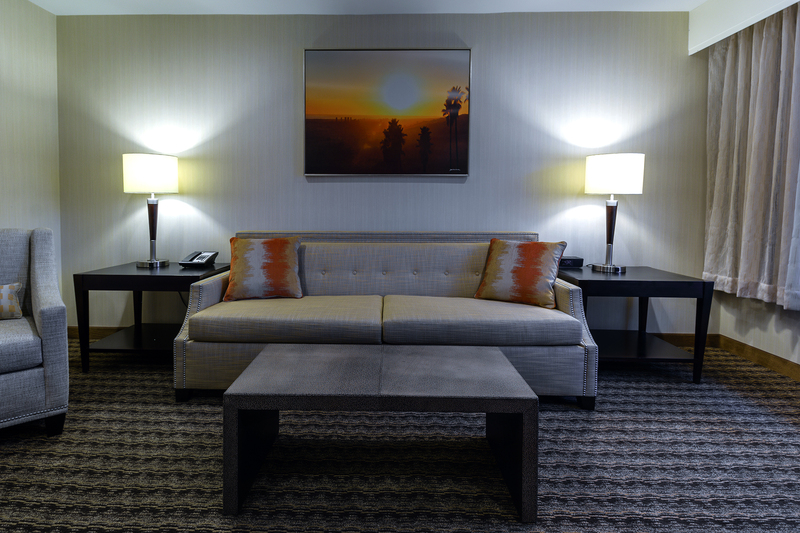 Large executive desk and ergonomic chair with a reading lamp. Stay connected with friends and family using our complimentary wireless internet. 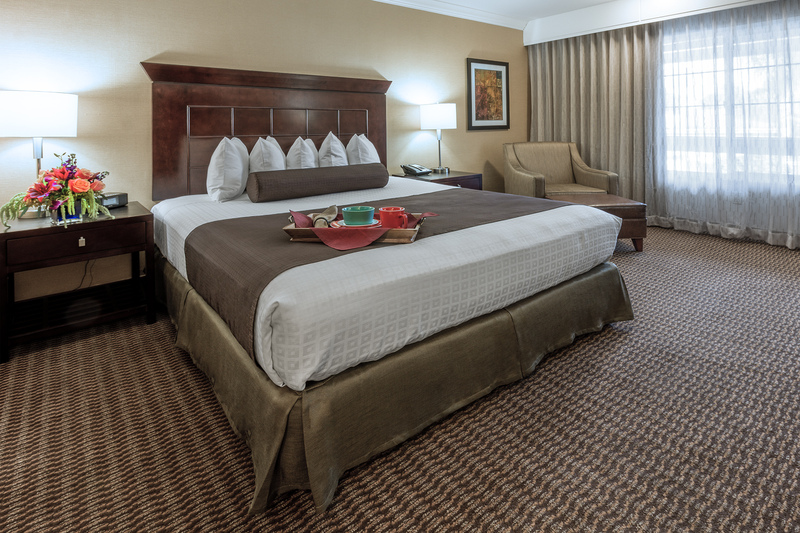 At night sleep soundly on the plush California King bed. 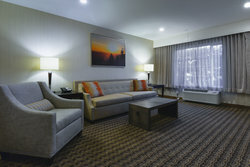 For the Business savvy traveler our recently renovated Executive King bedroom offers 37-inch flat screen TV, complimentary wireless internet connection, large executive well lit work desk with outlet, cordless phone, coffee/tea maker featuring Wolfgang Puck Coffee, complimentary bottled Spring water, hair dryer, iHome clock radio, upgraded amenities, iron and ironing board. 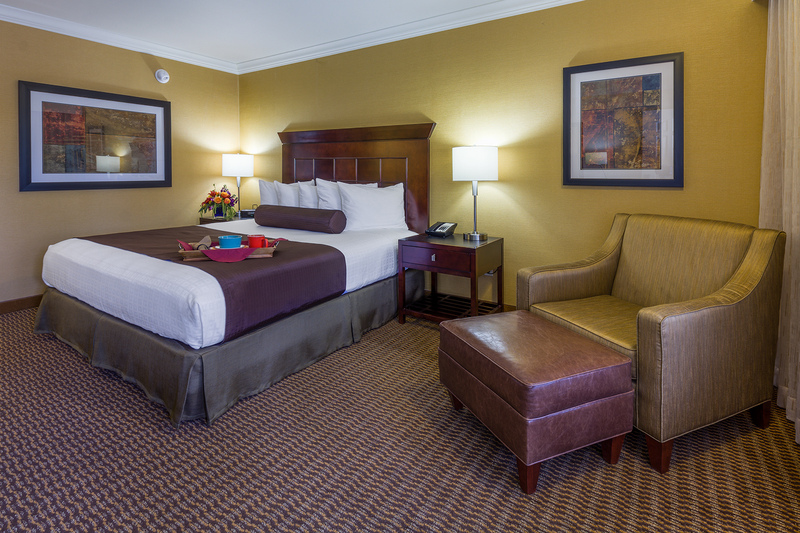 Unwind on the lounge chair and ottoman while relaxing in the plush Bathrobe available in the room before you fall sound asleep on the plush pillow-top California King bed. 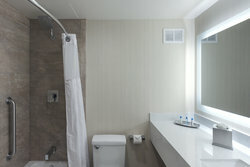 Newly renovated parlor with a 2 persons sleeper sofa, large flat sreen TV and separate bathroom.